An all time classic, now gluten free, vegan and WAY easier to make. Learn how to make our simple pecan pie bars made from our gluten free and vegan blondie baking mix. Crispy crust like outside with a caramelized and fudgy interior topped with a crispy and sweet candied pecan top… all thats missing is your coconut whipped cream! Our take on this classic is gluten free, vegan and WAY easier to make. Why? Because there is NO PIE CRUST INVOLVED. No pastry. No rolling pins. Same taste and texture, magically. 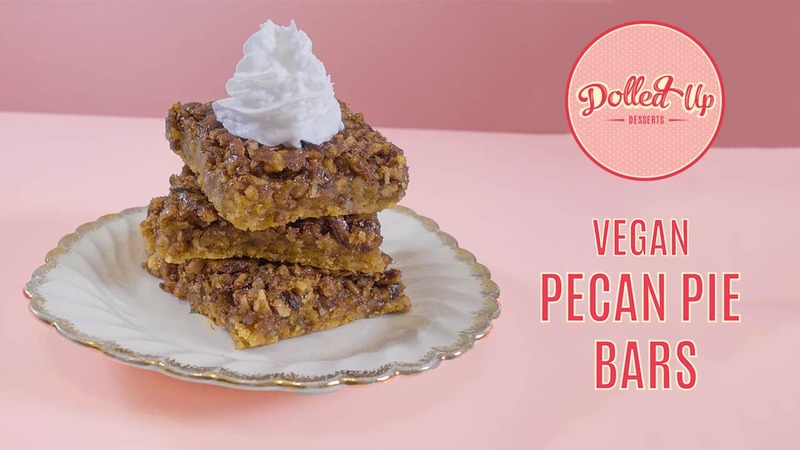 Learn how to make our simple pecan pie bars made from our gluten free and vegan blondie baking mix. Crispy crust like outside with a caramelized and fudgy interior topped with a crispy and sweet candied pecan top... all thats missing is your coconut whipped cream! This recipe requires 6 ingredients (ONLY!) when you work with the Dolled Up Desserts baking mix. It's also 100% gluten, dairy, egg and soy free! Whether you are a novice baker or just don't want to go though the effort of making pecan pie, our blondie mix will get you through Pecan Pie making with an inclusive, show stopping dessert. This recipe requires 6 ingredients (ONLY!) 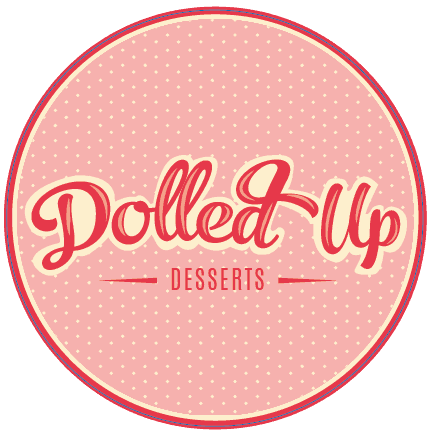 when you work with the Dolled Up Desserts baking mix. It's also 100% gluten, dairy, egg and soy free! Preheat oven to 350 F. Line a 9x9 inch baking pan with parchment paper and set aside. Prep mashed sweet potato by either baking or boiling peeled sweet potato. To a mixing bowl, combine oil, 1/4 cup maple syrup, cinnamon and potato until combined. Fold in baking mix with spatula until no dry pockets are present. In a side bowl, glaze pecans with brown sugar and maple syrup until well dispersed over all nuts. Spread blondie batter into the prepared baking sheet until even. Disperse sugared pecans all over the tops of the blondies. It should be a very thick layer. Bake for 25 minutes. Let cool for 15 minutes in pan if you want to enjoy these warm. Run a knife around the edges of the pan first to loosen the bars, and then cut them out carefully. Serve bars with your favourite non-dairy ice cream or whipped cream. Store cut bars in an airtight container on the counter for 48 hours, in the fridge for 4 days or freezer for 3 months.